3,553 stock photos, vectors, and illustrations are available royalty-free. Beryllium – one of a complete periodic table series of element names - educational sign or design for teaching chemistry. 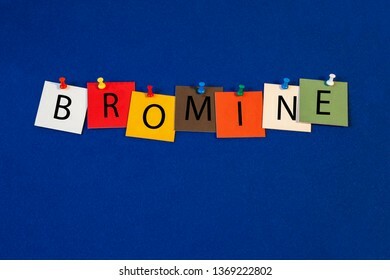 Bromine – one of a complete periodic table series of element names - educational sign or design for teaching chemistry. Astatine – one of a complete periodic table series of element names - educational sign or design for teaching chemistry. 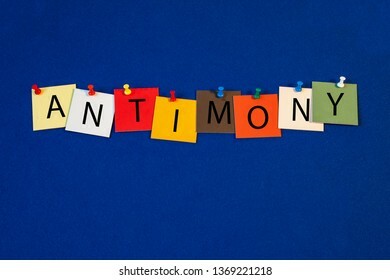 Antimony - one of a complete periodic table series of element names - educational sign or design for teaching chemistry. Americium - one of a complete periodic table series of element names - educational sign or design for teaching chemistry. Argon – one of a complete periodic table series of element names - educational sign or design for teaching chemistry. Barium – one of a complete periodic table series of element names - educational sign or design for teaching chemistry. Bismuth – one of a complete periodic table series of element names - educational sign or design for teaching chemistry. 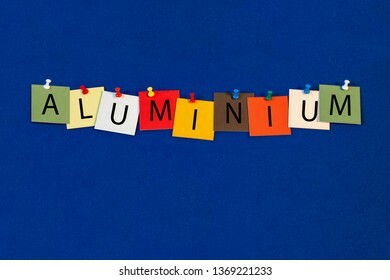 Aluminium – complete periodic table series of element names - educational sign or design for teaching chemistry. Arsenic – one of a complete periodic table series of element names - educational sign or design for teaching chemistry. 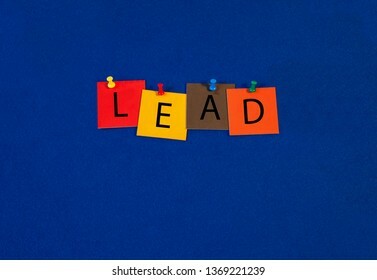 Lead – one of a complete periodic table series of element names - educational sign or design for teaching chemistry. Berkelium – one of a complete periodic table series of element names - educational sign or design for teaching chemistry. Lithium - one of a complete periodic table series of element names - educational sign or design for teaching chemistry. Mercury – one of a complete periodic table series of element names - educational sign or design for teaching chemistry. Molybdenum – one of a complete periodic table series of element names - educational sign or design for teaching chemistry. Krypton – one of a complete periodic table series of element names - educational sign or design for teaching chemistry. Hafnium – one of a complete periodic table series of element names - educational sign or design for teaching chemistry. Iron – one of a complete periodic table series of element names - educational sign or design for teaching chemistry. Hassium – one of a complete periodic table series of element names - educational sign or design for teaching chemistry. Lawrencium – one of a complete periodic table series of element names - educational sign or design for teaching chemistry. Iridium - one of a complete periodic table series of element names - educational sign or design for teaching chemistry. Hydrogen – one of a complete periodic table series of element names - educational sign or design for teaching chemistry. 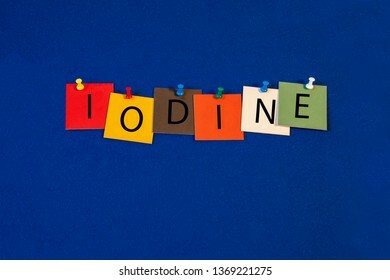 Iodine – one of a complete periodic table series of element names - educational sign or design for teaching chemistry. Sulphur – one of a complete periodic table series of element names - educational sign or design for teaching chemistry. Indium - one of a complete periodic table series of element names - educational sign or design for teaching chemistry. Helium – one of a complete periodic table series of element names - educational sign or design for teaching chemistry. Gold – one of a complete periodic table series of element names - educational sign or design for teaching chemistry. Holmium – one of a complete periodic table series of element names - educational sign or design for teaching chemistry. Mendelevium – one of a complete periodic table series of element names - educational sign or design for teaching chemistry. Lanthanum – one of a complete periodic table series of element names - educational sign or design for teaching chemistry. Germanium – one of a complete periodic table series of element names - educational sign or design for teaching chemistry. Gallium – one of a complete periodic table series of element names - educational sign or design for teaching chemistry. Francium – one of a complete periodic table series of element names - educational sign or design for teaching chemistry. Europium – one of a complete periodic table series of element names - educational sign or design for teaching chemistry. Gadolinium – one of a complete periodic table series of element names - educational sign or design for teaching chemistry. Fluorine – one of a complete periodic table series of element names - educational sign or design for teaching chemistry. Fermium – one of a complete periodic table series of element names - educational sign or design for teaching chemistry. Eintsteinium – one of a complete periodic table series of element names - educational sign or design for teaching chemistry. Darmstadtium – one of a complete periodic table series of element names - educational sign or design for teaching chemistry. Dysprosium – one of a complete periodic table series of element names - educational sign or design for teaching chemistry. Erbium – one of a complete periodic table series of element names - educational sign or design for teaching chemistry. Dubnium – one of a complete periodic table series of element names - educational sign or design for teaching chemistry. Curium - one of a complete periodic table series of element names - educational sign or design for teaching chemistry. Cobalt – one of a complete periodic table series of element names - educational sign or design for teaching chemistry. Copernicium – one of a complete periodic table series of element names - educational sign or design for teaching chemistry. Chromium – one of a complete periodic table series of element names - educational sign or design for teaching chemistry. Chlorine – one of a complete periodic table series of element names - educational sign or design for teaching chemistry. Cerium – one of a complete periodic table series of element names - educational sign or design for teaching chemistry. Carbon – one of a complete periodic table series of element names - educational sign or design for teaching chemistry. Californium – one of a complete periodic table series of element names - educational sign or design for teaching chemistry. Caesium – one of a complete periodic table series of element names - educational sign or design for teaching chemistry. cadmium – one of a complete periodic table series of element names - educational sign or design for teaching chemistry. Bohrium – one of a complete periodic table series of element names - educational sign or design for teaching chemistry. 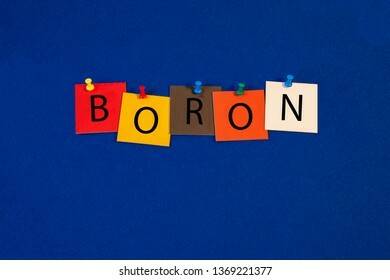 Boron – one of a complete periodic table series of element names - educational sign or design for teaching chemistry. Copper - one of a complete periodic table series of element names - educational sign or design for teaching chemistry. Flerovium – one of a complete periodic table series of element names - educational sign or design for teaching chemistry. Moscovium – one of a complete periodic table series of element names - educational sign or design for teaching chemistry. Nihonium – one of a complete periodic table series of element names - educational sign or design for teaching chemistry. Livermorium – one of a complete periodic table series of element names - educational sign or design for teaching chemistry. Silicon – one of a complete periodic table series of element names - educational sign or design for teaching chemistry. Nickel – one of a complete periodic table series of element names - educational sign or design for teaching chemistry. Neodymium – one of a complete periodic table series of element names - educational sign or design for teaching chemistry. Magnesium – one of a complete periodic table series of element names - educational sign or design for teaching chemistry. Lutetium – one of a complete periodic table series of element names - educational sign or design for teaching chemistry. Meitnerium – one of a complete periodic table series of element names - educational sign or design for teaching chemistry. Nitrogen – one of a complete periodic table series of element names - educational sign or design for teaching chemistry. Neon – one of a complete periodic table series of element names - educational sign or design for teaching chemistry. Manganese – one of a complete periodic table series of element names - educational sign or design for teaching chemistry. Neptunium – one of a complete periodic table series of element names - educational sign or design for teaching chemistry. Niobium – one of a complete periodic table series of element names - educational sign or design for teaching chemistry. Tellurium – one of a complete periodic table series of element names - educational sign or design for teaching chemistry. Technetium – one of a complete periodic table series of element names - educational sign or design for teaching chemistry. Thulium – one of a complete periodic table series of element names - educational sign or design for teaching chemistry. 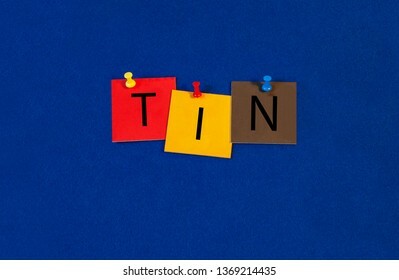 Tin – one of a complete periodic table series of element names - educational sign or design for teaching chemistry. Thorium – one of a complete periodic table series of element names - educational sign or design for teaching chemistry. Thallium – one of a complete periodic table series of element names - educational sign or design for teaching chemistry. Sulfur – one of a complete periodic table series of element names - educational sign or design for teaching chemistry. Strontium – one of a complete periodic table series of element names - educational sign or design for teaching chemistry. Terbium – one of a complete periodic table series of element names - educational sign or design for teaching chemistry. Silver – one of a complete periodic table series of element names - educational sign or design for teaching chemistry. Rubidium – one of a complete periodic table series of element names - educational sign or design for teaching chemistry. Seaborgium – one of a complete periodic table series of element names - educational sign or design for teaching chemistry. Scandium – one of a complete periodic table series of element names - educational sign or design for teaching chemistry. Samarium – one of a complete periodic table series of element names - educational sign or design for teaching chemistry. Selenium – one of a complete periodic table series of element names - educational sign or design for teaching chemistry. Rhodium – one of a complete periodic table series of element names - educational sign or design for teaching chemistry. Tantalum – one of a complete periodic table series of element names - educational sign or design for teaching chemistry. Roentgenium – one of a complete periodic table series of element names - educational sign or design for teaching chemistry. Ruthenium – one of a complete periodic table series of element names - educational sign or design for teaching chemistry. Rutherfordium – one of a complete periodic table series of element names - educational sign or design for teaching chemistry. Oxygen – one of a complete periodic table series of element names - educational sign or design for teaching chemistry. Phosphorus – one of a complete periodic table series of element names - educational sign or design for teaching chemistry. Rhenium – one of a complete periodic table series of element names - educational sign or design for teaching chemistry. Radon – one of a complete periodic table series of element names - educational sign or design for teaching chemistry. Osmium – one of a complete periodic table series of element names - educational sign or design for teaching chemistry. Palladium – one of a complete periodic table series of element names - educational sign or design for teaching chemistry.